If you already love the sound of this town of beauty and legend, go straight to our guru's list of hotel recommendations. Otherwise here are some good reasons to visit, and some of the best places to stay in Kraków to enjoy them. Kraków has always been Poland's artistic and cultural centre, but it was also the royal capital for 500 years. That it hasn't remained capital may be why much of its beautiful Baroque, Gothic and Renaissance architecture survived WWII. In fact, no other Polish city can boast so many historic structures or so many artworks - there are something like 2.3 million! The Old Town is where a lot of the most treasured buildings can be found, many of them in the streets fanning out from Rynek Glówny - Kraków's main square and the largest market square in Europe. The square is best approached by starting at the Barbican, an old fortress on the edge of the town. The thick walls are worth closer inspection. 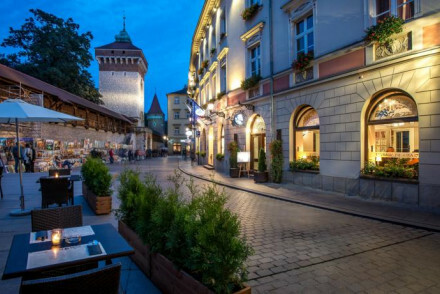 Walk through the Florian Gate into Ul Florianska, a pedestrian boulevard. Here most of the top name shops are to be seen. Whilst the prices are lower than in other western cities, they are still pricey by Polish standards. In the distance you will see the Basilica of St Mary with its distinctive towers. They were built by disputing brothers and are at differing heights. Every hour a bugler sounds from the high tower in memory of warnings from days of old. On certain days you can climb the tower. This gives you a wonderful view of the old town and even Wawel Castle, Kraków's centrepiece. Kraków's small layout is packed with history, and many of the key sights huddle together. So it's very easy to get around on foot. This is a beautiful town in every season. Though the summers are busy - and hotel prices inflate - and winters are cold. Rynek Glówny will always provide a good meal but, being a tourist magnet you will pay the highest prices. Moving further afield to places like Kazimierz in the old Jewish quarter will pay dividends. Not only will the venue be quieter and the prices lower but you might find offerings not seen elsewhere. Kraków also knows how to host an event! The summer is packed with festivals, celebrating and showcasing everything from film to opera to street theatre. Many visitors to Kraków also take time to make the hour long journey to Auschwitz-Birkenau, former Nazi concentration camp and now museum and monument. Kraków has plenty to offer in the way of evening entertainment as well. There are hundreds of cafés, bars, restaurants and clubs - the most charming of which are tucked romantically down old winding alleys. Head over to Wawel Cathedral, more than 900 years old and the traditional coronation site of Polish monarchs. This beautiful spot is known for its wonderful collection of religious art, the giant bell of Zygmunt and for housing the burial places of many national heroes. Be sure to visit the huge 10-acre Main Market Square, Europe's largest! Featuring the 16th-century Renaisance Cloth Hall as well as the 14th-century Gothic Basilica of the Virgin Mary, this spot is dripping in history and culture. The Lost Souls Alley Museum, a haunted house whose dark and mysterious rooms you explore with a dimly-lit torch, is great fun. Get ready to be scared to death by their actors, but you'll leave feeling truly alive! Families will love visiting the Krakow Zoo, costing only £4 to get in and boasting plenty of space for their wide variety of animals to run around in. Be sure to pack a picnic and enjoy a relaxed lunch in the park! As with most popular tourist destinations, the best places to stay in Krakow can get quickly booked up during the peak periods, so plan ahead to ensure you get your hotel of choice. If you want to book somewhere really memorable Hotel Wentzl is ideal. It's the only hotel overlooking Rynek Glówny, so you'll not miss any of the action. All the main sights are only minutes walk away, but you're also staying in a 17th-century stately home! It also boasts a great restaurant. Walking distance to the main attractions, Hotel Benefis is an unassuming modern hotel with comfortable contemporary rooms. Enjoy meals in the atmopsheric cellar restaurant! A great base from which to see the city. Hotel Grodek is located in a quiet yet central cul de sac. It provides traditional, individually designed rooms with an award-winning restaurant and a cosy library bar for chilly evenings. 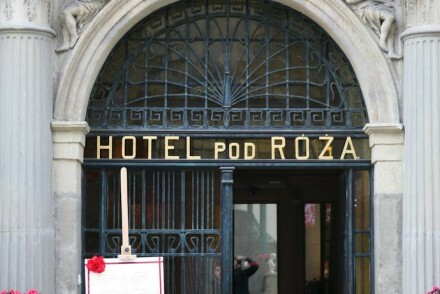 Hotel Pod Roza enjoys a superb location right in the heart of Old Town. It combines original, traditionally elegant features with luxurious modern interiors. What's more, there are two lovely restaurants in the former courtyard to try. Hotel Pod Roza is one of the best places to stay in Kraków for couples. In the heart of the beautiful Old Town, its decor is a perfect blend of old and new - for example, the lovely main courtyard has now been covered by an atrium and houses the romantic restaurant. Hotel Grodek's quiet location and gorgeous interior make it perfect for newlyweds. The restaurant is excellent, each room has a different theme and the library bar's log fire and leather make it warm and welcoming. So it's also a good choice if you're visiting in winter. 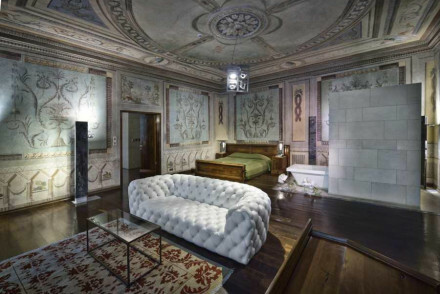 Hotel Copernicus is a truly special stay, complete with Renaissance frescoes, carved stone portals and Gothic rooms featuring dark woods and velvets. Enjoy a dip in the indoor pool before relaxing with a tipple on the rooftop bar! Plus, there's a Michelin starred restaurant - what more could you ask for? 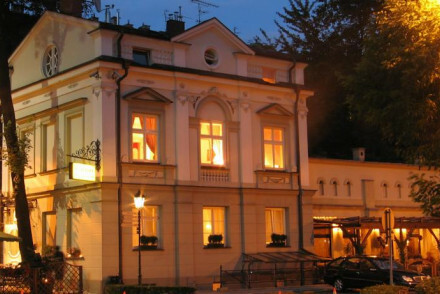 Priced from only £47 a night the Hotel Amber is one of the best places to stay in Kraków if you're watching your wallet. You'll spot it from its impressive pink and white Renaissance façade which make it look far more expensive than it is. 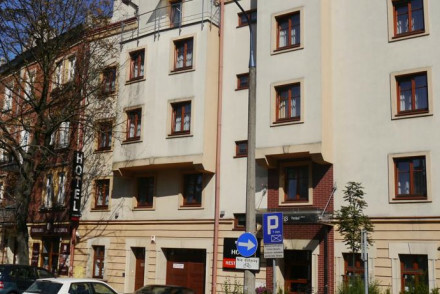 Just minutes from Rynek Glówny it's perfect if you're looking for a central location. Hotel Pugetow is another good budget option. This converted townhouse only has seven rooms, but they're all uniquely and traditionally decorated with the emphasis on comfort and elegance. Charming and historic. Maltanski Hotel is a delightful spot, located on a leafy street in the centre of town and featuring wood burning stoves, parquet floors and its own garden. Smart, traditional accommodation offered from just £68 per night! As well as being easy to see on foot, the tram and bus services work well and taxis are very reasonable. So it's easy to get your family from place to place. Hotel Benefits works well for families. It's modern, comfortable, great value and some of the rooms have wonderful views of Wawel Castle. The excellent value Hotel Amber offers family suites in the centre of town. Boasting traditional accommodation with neutral tones, there's also a sauna to enjoy after a day out sightseeing! Cracowdays Apartments offers charming apartments with modern interiors in the heart of town - all at great value! With a friendly atmosphere and all the mod cons that you'd expect, it's a top choice for families. The weather's nicest over the summer, with July being the warmest month (the average temperature is around 19°C). Expect it to be fairly packed with tourists, however, so alternatively you could go either in May or June (when spring's in full bloom) or in September and October (when the days are still fairly dry but a tad colder). International visitors can fly into Kraków Airport, offering direct flights to and from both London and Edinburgh. Typically, the journey time's just under three hours. Shuttle trains link the airport with Krakow Glowny central station, close to the historic centre. Running every half an hour and taking just twenty minutes, this is a super convenient option - and only costs 9z? (roughly €2). Alternatively, there are two munipal bus services (line 252 and line 208) available at a stop nearby the aiport's entrance. These only cost the equivalent of one dollar and take around half an hour. 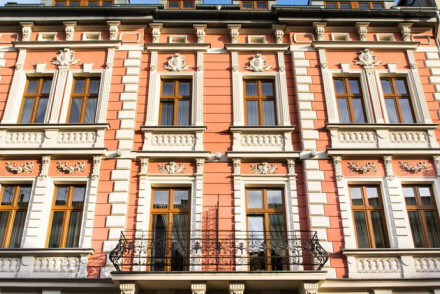 Browse through our list of all the best places to stay in Kraków. Search instead for the best places to stay in Warsaw. Or, feel free to call or email one of our gurus for advice. Charming apartments with modern interiors in the heart of the Old Town. Exposed brick walls, beamed ceilings and clean, crisp furnishing with all the mod cons. A friendly atmosphere with communal breakfasts - a trendy home from home. Ideal for travellers who search for a true local experience. Groups - A hip 'home away from home' located in the heart of the Old Town, perfect for groups who crave independent travel. Sights nearby - Guests must visit the nearby Royal Wawel Castle, a fascinating historic site. Great walks - This is a great city to wander and discover hidden treasures. 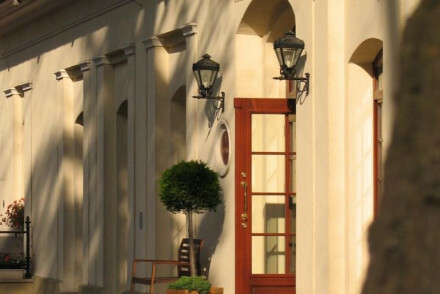 An utterly charming small hotel overlooking Planty Park on a leafy street. Wood burning stoves, parquet floors, lovely garden. No restaurant but many in the local area. Friendly efficient staff. A really cosy place to stay in an ideal location for exploring the city. 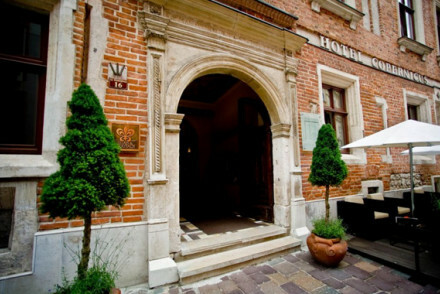 Value chic - A charming hotel, well situated in the Old Town within close proximity to the Wawel Royal Castle and totally affordable. Great walks - For a breath of fresh air, take a turn around the tranquil Planty Park. Sights nearby - Within a few minutes walkof Krakow's famed Wawel Royal Castle. A boutique gem you won’t be disappointed with. Set in a quiet cul de sac but still in the heart of the medieval town. Award-winning restaurant serving fusion cuisine, beautiful individually themed rooms. A warming library bar for winter evenings. A lovely base to explore the city from. City Style - An elegant boutique hotel in the heart of the Old Town, with a charming roofterrace and fantastic restaurant. Great walks - Wander through the pretty streets of the Old Town. Sights nearby - Just 200m from the St. Mary's Basilica. The only hotel overlooking Krakow’s principal square. Traditional elegance and beautifully decorated rooms with paintings, four poster beds, and stunning views. A stately house with a fantastic restaurant. A totally charming place to stay for local exploring. 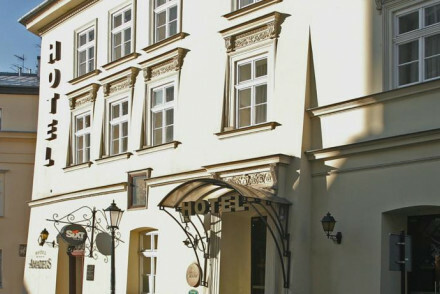 City Style - A 15th-century tenement turned luxurious hotel, in the Main Market Square with lovely views of the Old Town. Sights nearby - Easy access to the pretty Old Town and walking distance from Wawel Castle. An impressive hotel on a quiet street. Elegant pink-and-white Renaissance façade and polished modern interiors with neutral tones and Art Deco influences. Lovely breakfasts and the added extra of a basement gym and sauna. An immaculate and friendly base for exploring the city. Sights nearby - Visit the nearby Wawel Castle and Jewish District. Krakow’s first hotel in the heart of the Old Town. Its original heritage features with their traditional European elegance have been melded with modern luxuries. Two restaurants sit in the lovely former courtyard under a glazed roof. A luxurious base to explore the city from. 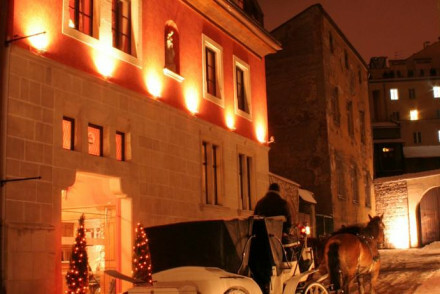 City Style - An elegant hotel right in the heart of the Old Town, with charming suites and a rich history. Sights nearby - A short walk from the Jewish District and the Wawel Royal Castle. Dignified 16th-century townhouse hotel in a central location. Baroque interiors with lots of dark wooden panelling, excellent restaurant, and lovely meeting rooms. An ideal base for exploring the city. Local exploring - Well located in Krakow's Old Town wthin walking distance of many of the city's sights. Great walks - Wander around the Old Town a UNESCO World Heritage Site. Sights nearby - Visit the historically important Wawel Castle. 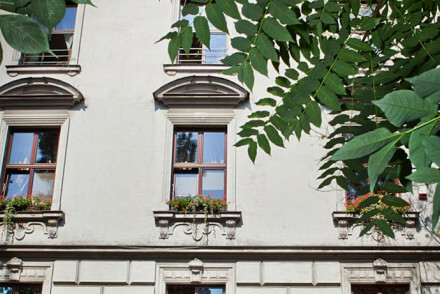 An elegant townhouse property in the centre of Krakow. The traditionally styled opulent rooms boast large frescoes, heavy curtains and delicate floral motifs. An atmospheric restaurant, with exposed stonework and floor to ceiling windows, serves traditional fare. An ideal base for city exploring. Local exploring - Well located near the main market and within walking distance to many of the city's sights. Sights nearby - Admire St. Florian’s Gate just opposite the hotel and make a trip to the Main Market Square. The Copernicus is truly special - Renaissance frescoes, carved stone portals, and Gothic rooms with dark woods and velvets. Fabulous roof top bar with views over the Old Town. An indoor pool in the vaulted cellar. An accoladed Polish restaurant. A luxury base to explore the city. City Style - A stunning historical building full of character, boasting sumptuous suites with handwoven rugs, and hardwood floors. Foodies - The Michelin-rated Copernicus Restaurant is not to be missed, neither are the 200 plus wines in their cellar! Sights nearby - Just a three minute walk to the Wawel Royal Castle and close to the Jewish District and Main Market Square. The 5* Hotel Stary is located in central Krakow. Featuring contemporary designer interiors, a Michelin recommended restaurant and an extensive spa. Boutique rooms and suites blend elegant stonework with wooden furnishings. A top city spot for the luxury traveller.